Onecom staff help raise over £2,000 for MIND with charity run! Staff from the Cardiff offices of Onecom helped raise more than £2,000 for the mental health charity MIND with a sponsored run. Workers from across the business took part in the event on Thursday (June 29th) as part of ongoing celebrations for the company’s 15th birthday. 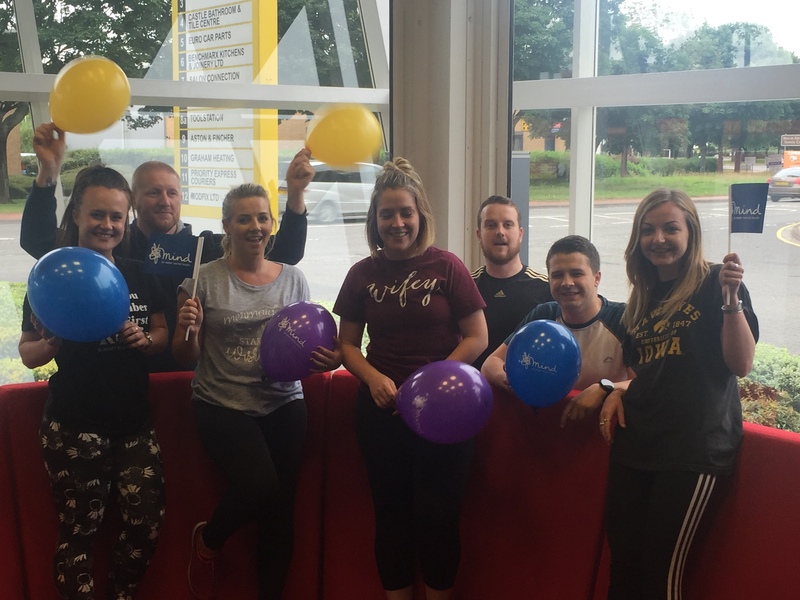 In total 114 members of staff from across Onecom’s 12 regional bases raised £1,281 for MIND, each running a mile-long route around the office where they are based. A further £1,000 was donated by Onecom’s management to top up the donation. MIND was picked by employees in a company-wide poll as their chosen charity to support in 2017. The event, on Thursday (June 29th) was the first of several fundraisers planned for Onecom’s 15th year under the banner of the newly-lanched Onecom Foundation. Aaron Brown, chief operating officer at Onecom, said: “This was a great way to celebrate our birthday and have some fun while bringing people across the business together for a common cause. Recently Onecom was named Unified Communications Dealer of the Year in the Mobile Industry Awards 2017. It also won Customer Service Team of the Year in the 2017 Comms Business Awards, and is nominated in the Workplace Wellbeing category of the Irish News Workplace and Employment Awards. Onecom was voted Vodafone Platinum Partner of 2011, 2012, 2013 & 2014. In 2015 and again in 2016, Onecom was named Vodafone’s Total Communications Partner – the network’s highest accolade. It is currently Vodafone UK’s largest enterprise partner. Pictured: Staff at Onecom’s Cardiff offices taking part in the run.